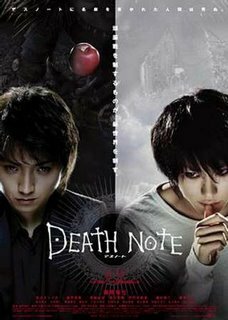 We finished watching the live action Death Note films yesterday and it was too good! I've ordered these from YesAsia, for they have the Hong Kong version, with English subtitles (quite a good translation, it must be said). There are 2 films: the first one is Death Note, and the sequel is Death Note - The Last Name. 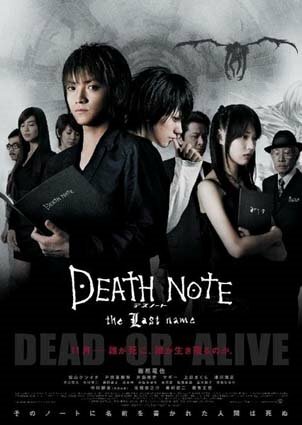 They were both released in 2006 and I must say the adaptation is excellent, and that everyone who loves the manga should run and watch the films. It is even better than the anime series, which is too close to the book. The films bring some changes to the original storyline, without modifying the basic premises and it all takes place in less time, not over the years as it happens with the books. They really did a good job here. 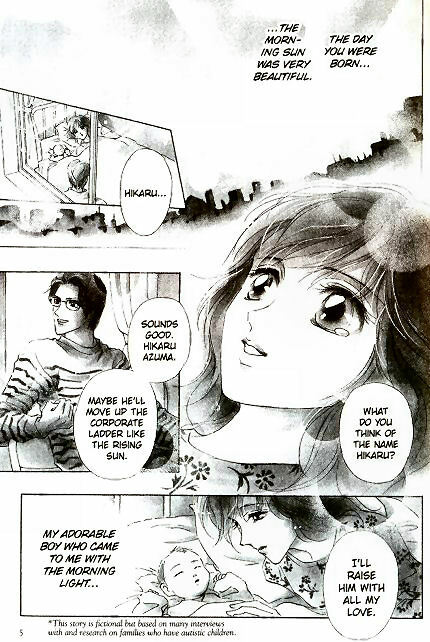 The ending is a bit sad, but I may also say so from the manga. Another Japanese gem we have watched last night! It's brilliant, surreal, absurd and hilarious. 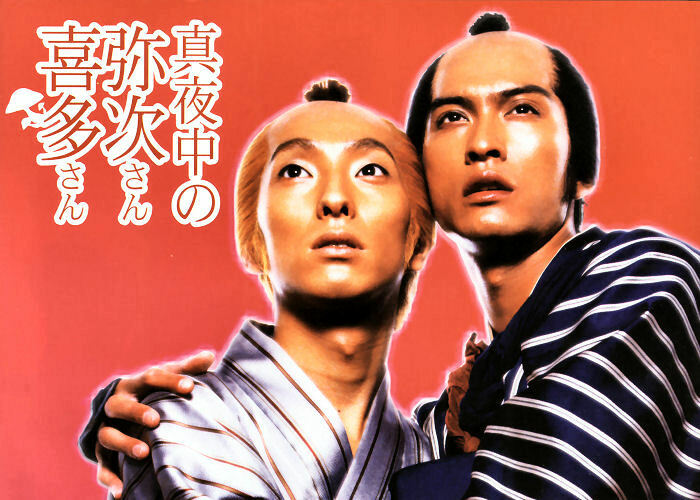 The plot revolves around a couple of gay samurai in the Edo era (1603 to 1868). Kita-san is a drug addict and Yaji-san, his married lover. Since Kita-san can make "no heads or tails of reality", Yaji-san decides to bring him in a pilgrimage to Ise Sanctuary, after picking up an ad about the place. Ise-san is said to be the solution for all problems, the cure for anything, thus ideal for a junkie such as Kita-san. I have scanned the ad for your delight (up above!) - now if you can imagine a samurai getting such a leaflet in the Edo era, you can have an idea of the wacky stuff awaiting for you in these 2 hours +. To arrive to Ise-san they have to follow the old Tokaido road and, on their way, they stop at several inns and meet a bunch of really funny and bizarre characters. 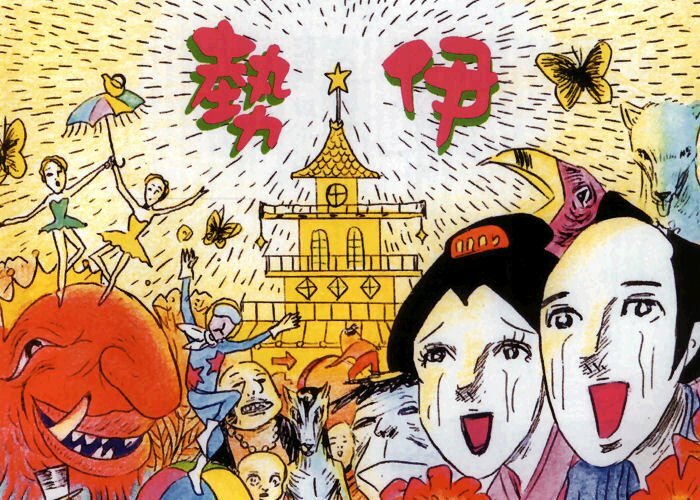 The Laughter Inn (where to be accepted you simply must present the funniest stand-in comedy routine, for example), a green tea plantation in Shizuoka where they meet a drag queen with a daughter who cannot sing to save her own life (thus causing Mt. Fuji to be hazed all the time), a group of cute school girls that are die-hard fans of a famous local Yakuza boss, a guy who impersonates King Arthur in a tribute/reference to Monty Python (or so it seemed), the Souls Inn, and an undead bartender in the middle of the forest, whose drinks are made from magic mushrooms etc... Well, think about Alice in Wonderland meets Priscilla Queen of the Desert... Or something along these lines. But that's not all. Yaji-san is actually being wanted for the murder of his wife Ohatsu (did he, did he not? ), and Kita-san believes to have fallen in love with the singing-challenged Shizuoka girl who, by her turn, has fallen in love with no one else than Yaji-san! Not to mention that they also manage to record a CD and become famous as a result. Photography, soundtrack and costumes are all brilliant and colourful, and the film is loaded with puns and jokes, some of which are much probably lost in translation, but still quite enjoyable. I absolutely love when they arrive to what they think is Ise-san, but in fact is the department store Isetan, in the middle of Tokyo's Shibuya. Surreal, and straightforward hilarious. 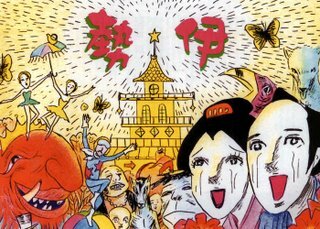 Note that the beginning of the film is in black-and-white, until Yaji-san shows the leaflet to Kita-san and then everything seems to come to life and the colours appear - as if their lives now have gotten a meaning and aim (a quest in search of redemption/healing at Ise-san, that is). There is even a fantastic dream scene where corpses floating in the river become pieces of a supernatural Tetris game, and that's certainly one of my favourites. Now I just need to find myself the soundtrack! (Directed by Kudo Kankuro, dated 2005, starring as Yaji-san and Kita-san: Nagase Tomoya and Nakamura Shichinosuke II, respectively). (Pictures scanned by me, from the DVD insert, by Asmik Ace Entertainment Inc., DVD ACBD-10302). Manga to Love - "With The Light"
Some weeks ago, I was with Mark at the newly refurbished Reads bookshop in Dublin City Centre. I call that bookshop an "emergency bookshop", in the sense that is rather like a convenience store than a real bookshop. By that I mean, it sells the obvious bestseller releases, tourist guides, Irish-themed books for foreigners, calendars, and the sort. But they've got a tiny manga section, to my surprise. 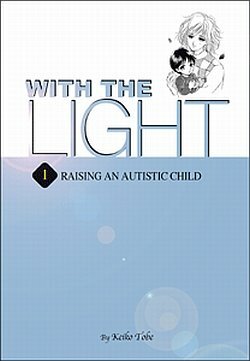 And there I found this book, from Yen Press (that I haven't heard about until then, altough they are re-publishing another favourite of mine - "The Antique Gift Shop"): "With The Light: Raising an Autistic Child", by Keiko Tobe. Really heavy volume that I quickly browsed and decided to buy on the spot and see how it might be. And this was only the 1st volume, covering the main character's early years. No regrets. The artwork is lovely and the subject quite distinct from the usual manga offers. 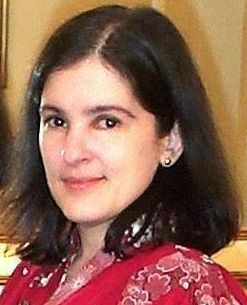 It is really a manual-like, guide to autism, and very interesting at that. I say "manual-like" because it gives you some guidance on how to help raising a kid with that condition and shows as well some valuable data and pieces of information on the subject. But it is not quite so, or not limited to that. It is a story, with loveable characters and told with sensitivity, interest and knowledge. It tells about a couple. Sachiko and Masato Azuma, whose 1st child, Hikaru, turns out to have a very peculiar behaviour on his infancy until he is finally diagnosed with autism. The book follows his journey (and his family's) though the condition and how he interacts with the world around him, prejudices, friendship, and all their strive to adapt - not only to the condition itself - but to society as a whole. And as a normal, functional part of it, not merely as a "disabled" or "special" member of it. Then you realise how hard it must be. For the kid, for the parents, for the teachers. Hard yes, but also rewarding. As I mentioned before, the artwork is very good and the characters are easy to identify even if a bit stereotypical sometimes - Sachiko is way too nice, the Mother-in-law is way too strict and unsympathetic in the beginning, Masato changes abruptly from a workaholic salary man to a loving Father. The plot is as simple as that: a day in a life. It could easily turn into a mushy, corny piece of a graphic novel, but believe me when I say it is not. Worth buying it, reading and appreciating for the story and the artwork, I cannot do it otherwise but warmly recommend it. And even urge you to get a copy. The above ad stars Chiaki Kuriyama, and I got it from Dailymotion. I added the user to my favorites, since he's got the most fantastic Japanese ads.